There are thousands of San Diego real estate owners who are in various stages of mortgage distress and pre foreclosure. Some have had interest rate resets, making their mortgage payments unaffordable, while others have had life setbacks which might include job loss, divorce, medical problems–or perhaps even gas prices that are breaking bank accounts. These are just some of the reasons we are seeing (and have seen) so many San Diego short sales and foreclosures this past year–and spend so much of our time trying to help homeowners in distress. Many are seeking short sale relief, where their homes are sold for less than what is owed on them–and for good reason. 1. Credit scores will not be so severely damaged because mortgage debt will be “settled.” The consequences of a short sale will be far less devastating on credit scores than a foreclosure. 2. The homeowner will be able to move out of their San Diego home on terms closer to their own, rather than having a sheriff doing it for them. 3. The homeowner is in a stronger position to negotiate with a lender in a short sale situation versus a foreclosure. Mortgage lenders do not want foreclosures and have no desire to be the owners of San Diego foreclosed properties. The homeowner may be able to exit their home with no judgment or 1099 trailing them. Short sales, though, come with their own set of problems for Realtors and their clients. Offers from buyers end up on lender’s desks, piled high with dozens of files. It can literally take weeks to get a response to the buyer’s offer, unless, of course, one has an inside track to the lender’s decision makers. We are now working with a substantial cash buyer of San Diego real estate who has successfully negotiated several hundred short sales with almost all major lenders. 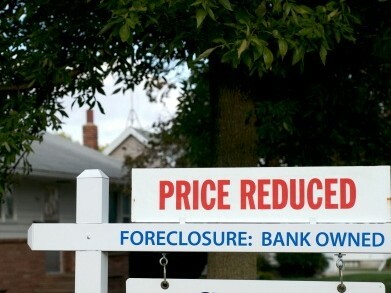 They have also been very successful at stopping foreclosures if adequate notice is given. We now intend to place all of our qualifying short sales with this buyer–who charges nothing to the seller or us. It is truly a win-win solution for all San Diego homeowners in distress. If you need a fast sale for your San Diego home or are in short sale or foreclosure territory, please give us a call at 760-402-9101/9102 and we’ll explore your alternatives. And under no circumstances should you deal with anyone who tries to charge you for saving your home from foreclosure–or for handling your short sale.